We hear everyday a lot about success and failure but what are they really? Does it really matter to know their meanings? Every word acquires lot of meanings and ideas over time and eventually they become social labels . Once any word become a social label, it will loss its flexibility and diversity and become rigid and specific. One such word is 'discipline'. What is your understanding of this word? Why does hearing the word it self make us uncomfortable immediately? Because it has become a social label and lost it completeness. Now we just use it in the context of controlling people but where does this word come from? It came from word 'disciple'. Disciple is some one who lives with a master and follows him to understand his teachings. The act of disciple is 'discipline' with a primary goal to understand but we forgot such usage and now we use it to make people follow certain rules without any concern if they understood or not. The same happened with words success and failure. 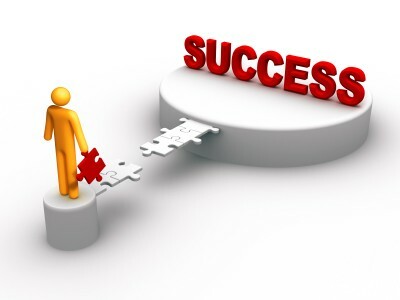 In my view both success and failure are very personal experiences. If we choose to do something which are sure to succeed then outcome might look positive but our inner feeling says that we should do better to grow. When we try to do little more extra than we are comfortable off then sometimes outcome might come negative but growth happens. Most of the times success or failure are decided based on outcome only, ignoring inner experience so that they are comparable but can we really compare my success with yours? We put lot of focus on outcome, it is very important but not at the cost of inner peace; when we peacefully understood the goal then clarity comes and risks will be visible much earlier so we will be prepared if something goes out of hands. We should associate success or failure not only with outcome but also with inner feelings then they will be complete and no one ever have to depressed of the outcome. Start observing your inner feelings and you will know your own definition of success. I want to hear your thoughts so leave comments. Bye bye. Why are failures important than success?